LC-MS has become an invaluable technique for trace analysis of polar compounds in aqueous samples of the environment and in water treatment. LC-MS is of particular importance due to the impetus it has provided for research into the occurrence and fate of polar contaminants, and of their even more polar transformation products. Mass spectrometric detection and identification is most widely used in combination with sample preconcentration, chromatographic separation and atmospheric pressure ionization (API). The focus of the first part of this review is directed particularly toward instruments and method development with respect to their applications for detecting emerging contaminants, microorganisms and humic substances (HS). 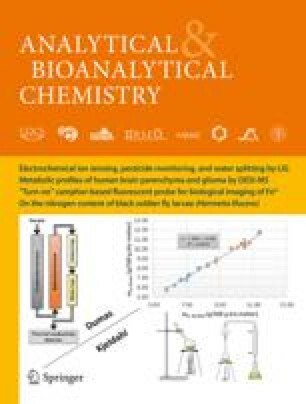 The current status and future perspectives of 1) mass analyzers, 2) ionization techniques to interface liquid chromatography (LC) with mass spectrometry (MS), 3) methods for preconcentration and separation with respect to their application for water analysis are discussed and examples of applications are given. Quadrupole and ion trap mass analyzers with electrospray ionization (ESI) and atmospheric pressure chemical ionization (APCI) are already applied in routine analysis. Time-of-flight (TOF) mass spectrometers are of particular interest for accurate mass measurements for identification of unknowns. For non-polar compounds, different ionization approaches have been described, such as atmospheric pressure photoionization (APPI), electrochemistry with ESI, or electron capture ionization with APCI. In sample preconcentration and separation, solid phase extraction (SPE) with different non-selective sorbent materials and HPLC on reversed-phase materials (RP-HPLC) play the dominant role. In addition, various on-line and miniaturized approaches for sample extraction and sample introduction into the MS have been used. Ion chromatography (IC), size-exclusion chromatography (SEC), and capillary electrophoresis (CE) are alternative separation techniques. Furthermore, the issues of compound identification, matrix effects on quantitation, development of mass spectral libraries and the topic of connecting analysis and toxicity bioassays are addressed.